Meleanie F. Reviewed by Meleanie F.
Dawn C. Reviewed by Dawn C.
Brittany D. Reviewed by Brittany D.
Diamond painting quickly became my new hobby. Its relaxing, a stress reliever, and I love doing art related work to challenge my mind. My kids are even into it as well. They love it!! 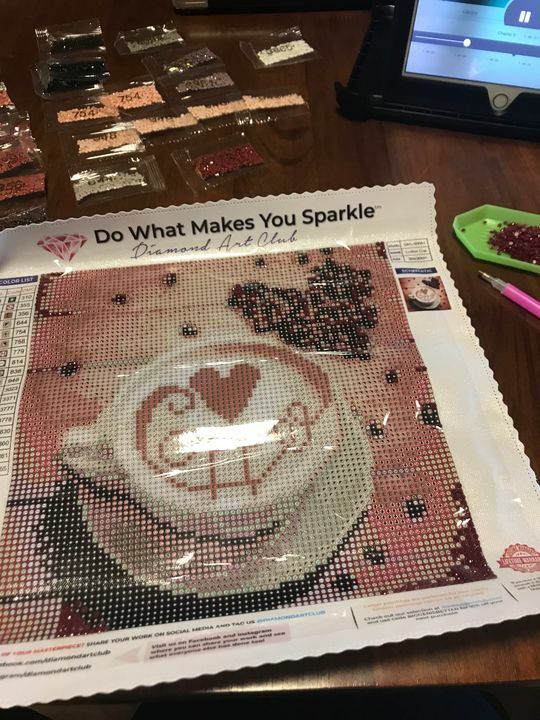 I am almost finished with my first diamond art club kit coffee print. I have had alot of fun working on it. I find it easy to follow and relaxing. The completed project will look great when done. I have been working on my project every morning for about an hour ever since I got it! I love it, look forward to it every day, it’s something I can do while simultaneously listening to an audiobook or watching the latest episode on Hulu or Netflix! I can’t wait to finish this one, a gift for my sister, then start a new one for myself! My new favorite hobby! !